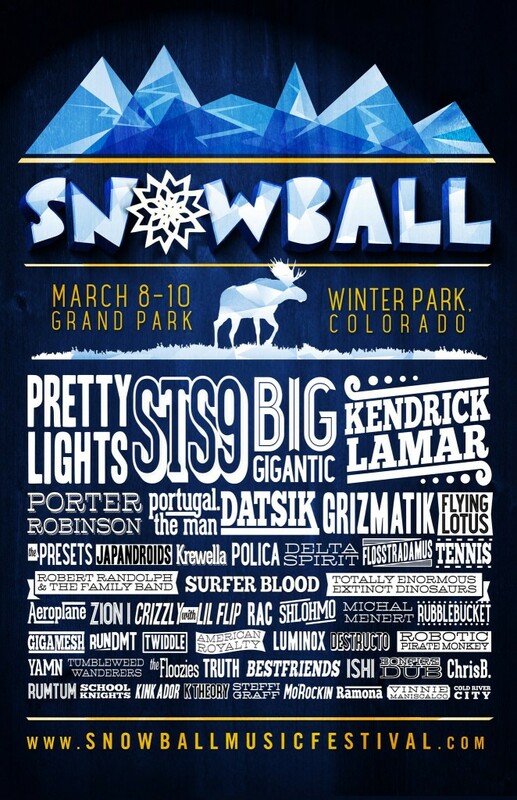 Snowball Music Festival (March 8-10; Winter Park, Colo.) today released the final lineup for their 2013 festival, adding 30 additional artists to the list. Snowball is a unique outdoor winter music festival in Winter Park, Colo., utilizing the Rocky Mountains as a backdrop while over 65 acts perform on four stages. This is the third year for the festival, though its location has changed each year, held most recently in Vail Valley, Colo. in 2012. General Admission 3-day passes are on sale for $164. In addition to three great days of music, those attending the festival will have an opportunity to hit the slopes at Winter Park Resort – dubbed “Colorado’s Favorite” for the natural majesty of its setting, its laid-back resort atmosphere and its stellar skiing, snowboarding, and tubing. Winter Park Resort, which includes Mary Jane Mountain, averages over 321 inches of snow each year and features over 3000-acres of skiable terrain to enjoy. 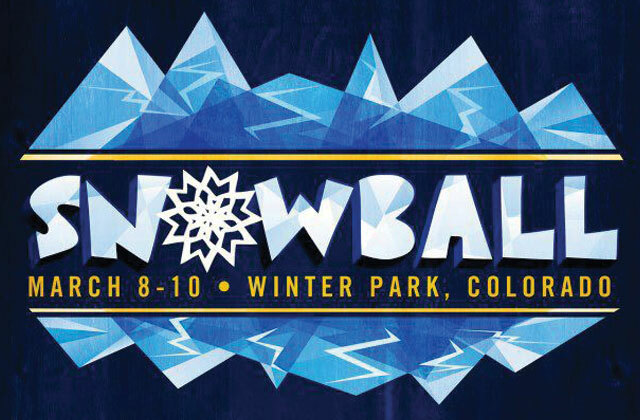 SnowBall 2013 attendees will also have access to a special discounted ski lift ticket, courtesy of Winter Park Resort, packaged with their event ticket and lodging. SnowBall 2013 promises innovative integration of creative design throughout the festival experience – from custom three dimensional film installations, fireworks displays, action sports elements and everything in between. Also this year, SnowBall introduces a heated acoustic coffee house lounge to feature intimate and unplugged performances by rising stars and main stage artists alike. After the festival, crowds spill out into the streets for the event’s ever-expanding late night scene, offering big after-hours shows in the town’s many small clubs.